No Synthetics Handmade soaps are free from petroleum, synthetic fragrances and harmful chemicals that you definitely dont want on your skin. Mild Compared to factory produced soaps, handmade soaps are much more gentle, mild and skin friendly. They are sometimes even milder than bars meant for kids. No Petroleum Petroeum, which is present in bars does a lot of harm to skin. One of the key ingredients of bars, petroleum, which is added in the name of moisturizer strips the skin off natural moisture and oils thus proving to be exceptionally drying. 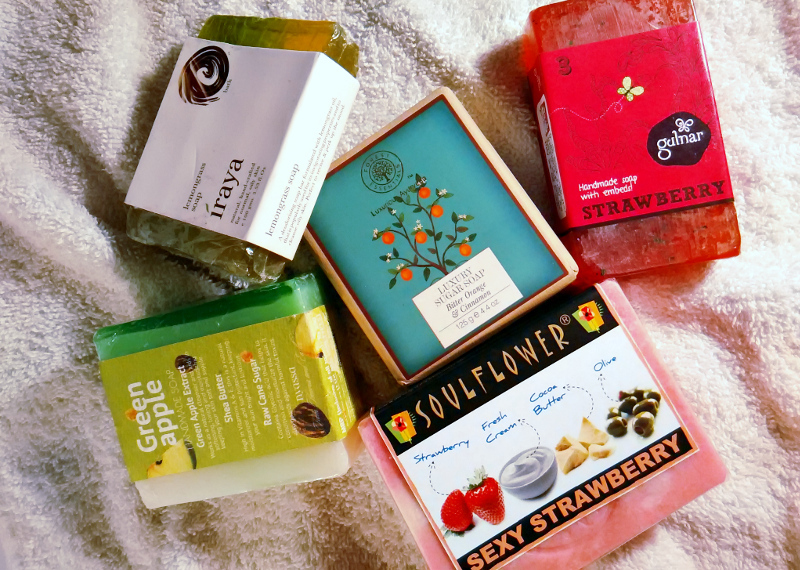 Biodegradable Natural handmade soaps are biodegradable, environment-frinedly and do not originate from petroleum which does great harm to the environment. Awesome Flavours Handmade soaps are available in amazing fruity flavours like strawberry, orange, apple, etc. that smell fresh and natural unlike regular bars. I'm sure once you try handmade soaps, you will never want to go back to factory produced bars. Besides, natural is always better than synthetic!